Game of Thrones’ direwolves aren’t doing so well. Spoilers ahead for the most recent episode of Game of Thrones and A Song of Ice and Fire. RIP, Summer. With the most recent direwolf death on Game on Thrones, their numbers are dwindling. Only two of the original pack remain—Jon Snow’s loyal Ghost, and Arya’s long-lost Nymeria. Originally, there were six pups, one for every Stark child (even half-Starks), and they were appropriately named to capture both their function and their owner’s personality (and perhaps even their destiny). Here’s a refresher on each of the fierce protectors. Sansa, who wanted nothing more than to be a noblewoman, named hers after her chivalric ideal—Lady. Before her death, Lady was said to be “the prettiest, the most gentle and trusting” of the direwolves. But being pretty, gentle, and trusting is not the kind of survival skill you need in Westeros, and both Lady, as well as Sansa’s “gentle and trusting” spirit, were destroyed by the Lannisters. Also sadly, Lady, who never attacked anyone, was targeted because of the actions of another, just as Sansa was mistreated by the Lannisters because of her father and brother. Robb, whose army of the North struck swiftly but left the war pretty quickly, named his Grey Wind “because he ran so fast.” Robb’s strength as a commander became synonymous with the actions of his wolf, since Grey Wind threatened, attacked, and killed men on the battlefield (one at the Crag, one at Ashemark, six or seven at Oxcross). Legends grew about Robb and Grey Wind—some even thought he could warg into his beast—and Robb was referred to as the Young Wolf. So when the Freys plotted to kill him at the Red Wedding, they took special care to keep man and wolf separated, only to reunite them after death (by attaching Grey Wind’s head to Robb’s body). Rickon, the youngest, named his Shaggydog, who remained as wild and unsupervised as his human. Shaggydog was last seen when his severed head was presented as proof that Rickon was truly a Stark, as part of a prisoner transfer, although some fans refuse to believe he is dead. If the direwolf’s name was prophetic, it’s perhaps in the sense that Shaggydog had a shaggy-dog story—one that never went anywhere. Bran didn’t come up with a name for his wolf until he emerged from his coma, where in the books, he first had his visions of the Three-Eyed Raven, as well as a “frozen wasteland where jagged blue-white spires of ice waited to embrace him.” Bran, the “sweet summer child,” then called his direwolf Summer, but he ultimately lost his wolf to the monsters of Winter. Of all the Stark children, Bran developed the strongest warging abilities, and he wasn’t limited to his direwolf. With Summer’s death, he could start warging other creatures (although hopefully not more humans—poor Hodor!). Jon, who was resurrected from the dead, has a direwolf named Ghost. 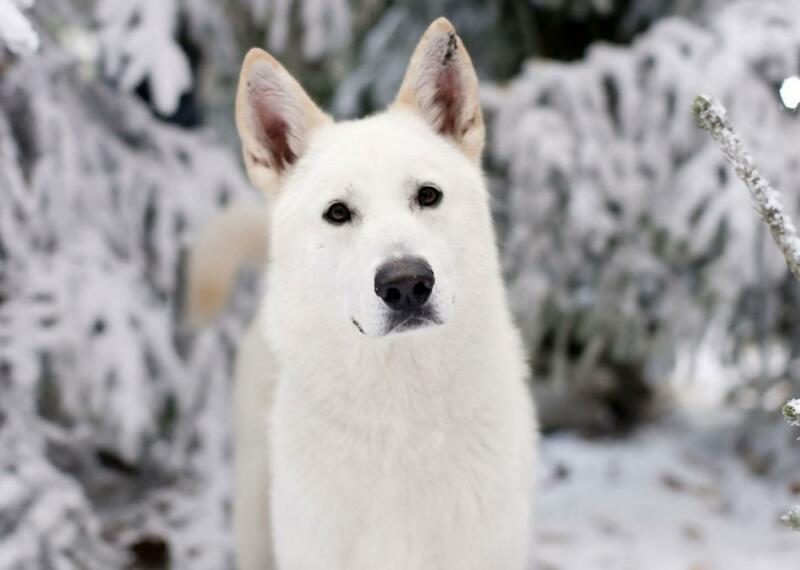 Ghost is the only direwolf left hanging out with his human—he even stuck around during the period in which Jon was technically deceased, long after everyone else gave up, and seemed to sense when Jon would come back. If Jon rides into battle, chances are Ghost will be at his side. Arya, who is learning to fight, named hers after the fiercely independent warrior princess of the Rhoyne—Nymeria. According to legend, Nymeria had 10,000 ships to her name, which she used to lead her people (mostly women) across the Narrow Sea to find a new home, wandering for years until they settled in Dorne. (Her heirs are the Martells.) Arya and her direwolf Nymeria both have wandered on their own since Arya sent Nymeria away and since Arya was set free herself. And both have become killers. In the books, Nymeria went off to form a very large wolfpack—perhaps we’ll see this wolfpack on the show, or perhaps Arya will one day reunite with her wolf, and/or her siblings, once again.